Basically, I've been working remotely taking care of my businesses for quite some time now and that was before I opened the coliving space. My background, in general, comes from ad tax or education technology and I've got a couple of businesses in Russia related to education and travel. I always preferred living elsewhere, abroad and and that's why I was always searching for a better location where I wouldn't mind spending more time. Then I came up with an idea of launching a coliving space in the Canary Islands on the balance of probabilities proved to be a sweet spot. That's the idea behind ReStation. ReStation is a coliving space, a community for like-minded business professionals. NomadTrain is a fairly new project as well. It was a year organizing because it's a lot of details but it was actually boring here in the Canary Islands. The idea brought came together when the three co-founders including myself met at ReStation at some point and we just started NomadTrain. We structure the travel the way that people spend about 24hrs, 3-4 days in the city. So, everybody has time to have some more comforts, privacy and explore plus catch up with work. As much as we try and as much as we want to there are some places in the world are not connected internet at all. When you're across in Siberia, we can't guarantee speedy Wi-Fi with an unbreakable connection. We definitely don't say that there's internet at all times and being transparent about it but in cities there is. We organized workspaces partnering with different coworking in our locations so whenever whichever city we arrive there is a coworking space where people from NomadTrain go to and use it for free. In addition, there is always internet at all of our accommodation venues. All of the hotels where we're staying will be Wireless everywhere. The number one criteria because working is important. We were sponsored by a cell phone operator that provided Wi-Fi modems of mobile Internet and it works really well. We got very good feedback on the internet quality in cities so people managed to do conferences and webinars with the mobile internet. In terms of workspace, since everybody more mostly works with their laptop so, Wi-Fi is the major requirement of a workspace. Day-to-day life it will be very different if a person is on the train and if the person is in the city. When we're on the train it's a great time to catch up on things. They could have been sitting on their to-do list forever, maybe write articles, read something or work on finances for your next project or your current project. We also organized a lot of activities with the help of train participants. For instance, there was yoga on the train. We also have a workshop on trading. There was a hackathon during one day, classes of Russian and Mongolian languages. There's always time to talk with all NomadTrain member. I think ReStation and NomadTrain have very similar demographics and client portrait. I wouldn't really put one number in terms of age but maybe late twenties early thirties will be a correct description. There were slightly more guys on the train around their thirties and forties. In ReStation were very equal, there are lots of girls here even sometimes more than guys which is also very specific about us. In terms of nationalities, there is really zero patterning because we had people from all over both at NomadTrain and a ReStation. The very interesting thing is that NomadTrain, we had five Indian participants which are not typical for example here in Europe coliving spaces, Asia, from Australia and New Zealand also the US include as many European countries as can think of. I guess the benefit will be for both sides because both projects are for similar audiences. There are people who stay connected to each other. I mean for the guys who are living through the experience it's quite interesting they still meet the same people. It's quite good to be able reaching out same people with different projects and keep offering new things to people who want to experience new things. I guess it's a win-win. There are emergency situations that happen on the way but, to be honest, so far we've been lucky nothing really happened. We didn't have an emergency this time although there is a plan B in place in terms of workplaces. There's always more than one coworking space. I feel that the most coworking spaces are really collaborative and very good partners of us. For instance, we had the situation in Yekaterinburg when we had too many people that actually wanted to use the workspace. They couldn't all fit in. We just avert them to the second one. We had more than one. For this type of project, we didn't really need an investor. It's totally bootstrapped. We're three founders here and we're not looking at getting invested in the nearest future. Because we feel, we've got a good growth pattern yet maybe the situation will change in some time but not as of today. I would say the strategies will be a bit different. For NomadTrain, it's a word-of-mouth campaign. Our members are our biggest advocates. I mean our like traveler's people who went with us. It's also the type of projects that sell for itself. It's really a beautiful idea. We are in love with our own idea and many people understand it straight away. We don't need to explain it a lot. Of course, we use social media and we do a lot of collaborations with other projects similar to us by vibe. With other digital Nomad travel project. We're good friends with Nomad Cruise, NomadCity for example. 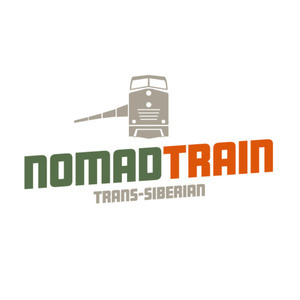 NomadTrain has a unique selling point in general. It's like travel the world on the train with fellow digital nomad. I think it's very straightforward and unique so far we don't know of any other train projects for nomads. It's your office on the train. We'll have more frequent departures. Actually, our big dream is to have a coworking train actually like a coworking in a car that will be connected. It would be a really epic experience. Of course, we need to grow a bit. We're pretty sure the routes will expand to several other routes, several Asian countries. We really like Tibet and India. For ReStation, we want to grow in terms of different also working Asian camps. We want to grow the digital community that we have. It's not only locally but also online. The song is by Bayou Dream under CC license.